Jess Penny is General Manager at Penny Hydraulics, a manufacturing and engineering company who specialise in designing, building, and selling hydraulic lifting solutions for a range of industries. In this article, she takes a closer look at how the new apprenticeship levy introduced by the government will help to address the skills gap in this country. For anyone who works within the engineering and manufacturing industry, there’s a good chance that you will be aware of the skills shortage that has gripped the UK sector in recent years. There has only been a thin stream of talent making its way to this area of the market, meaning that firms have not been able to find the right people they need to expand their operations and grow. With the prospect of the free movement of labour across the EU coming to an end with an eventual agreement on Brexit, it’s possible that these companies will no longer be able to look to other European job markets to bring in the expertise that they need. Therefore, there has never been a more important moment for the country to invest in developing some homegrown talent. The huge skills shortage that employers have been facing is not just limited to the engineering and manufacturing industries — sectors like accounting and construction have also faced tough times recently. But just where did this problem come from? Part of the issue can be traced back to the way STEM subjects are taught and perceived in schools up and down the UK. Although students tend to realise that maths and science are essential subjects for getting a good job, many don’t realise just how varied and fascinating their career opportunities can be if they develop an expertise in these areas. Furthermore, Britain also faces issues with diversity when it comes to STEM subjects. Women, ethnic minorities, and working class youngsters tend to shy away from pursuing them, leading to eventual under-representation in the industries that rely on skilled employees from these fields. Not only do companies in these sectors miss out on skilled workers, but they also lose the advantages that a diverse workforce can bring to their business. Another problem that school-taught STEM subjects suffer from is that much of their curriculum ends up being out of date by the time that students reach degree level. This is not down to a fault with the teaching, but the simple fact that the pace at which the industry evolves at is so fast, education cannot keep up. Because of this, students are often confronted with problems they aren’t prepared for and unfamiliar new technologies, which can affect their employability further down the line. There are certain skills young people need to pursue a successful career in manufacturing, and these can be difficult to hone properly in a college or university environment. Apprenticeships offer the chance to gain on-the-job experience under an experienced mentor, which is invaluable. They’re arguably the best way to learn the necessary skills for thriving within the sector. 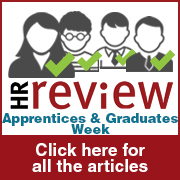 The UK government will be introducing an apprenticeship levy in April of 2017. From then on, UK companies with a payroll of more than £3million per year will be required to spend 0.5% of their wage bills on apprenticeships. This is bound to increase the number of apprenticeships available, and it’s likely that those on offer will be of a higher quality. This levy will encourage employers to take on fresh talent and could well help to close the current skill gap, which, hopefully, will aide our manufacturing industry in competing with those of other nations. Of course, this won’t fix all of the problems our sector faces, but growing our workforces is guaranteed to have a positive effect. While the apprenticeship levy is sure to lead to more young people joining industries with skill shortages, companies shouldn’t use this as an excuse to rest on their laurels. If they don’t put in the effort to make their industries appealing to the next generation of talent, the levy alone won’t be enough to turn the UK crisis around. Companies of all sizes should do everything they can to affect the way their industry is portrayed in the media, as this is going to have a huge impact on the future. It’s crucial that we educate the next generation on the range of diverse roles that a STEM-related career path can lead to through partnerships with local schools, colleges, and universities. If we can use these to change opinions, we can ensure the UK can compete on the international stage for years to come.